For Greener Skyscrapers, Basic Building Materials Are Being Reinvented Can wood replace steel in a 70-story skyscraper? Architects and biochemists at Cambridge think so. Meanwhile at MIT, rethinking cement is cutting down carbon emissions. 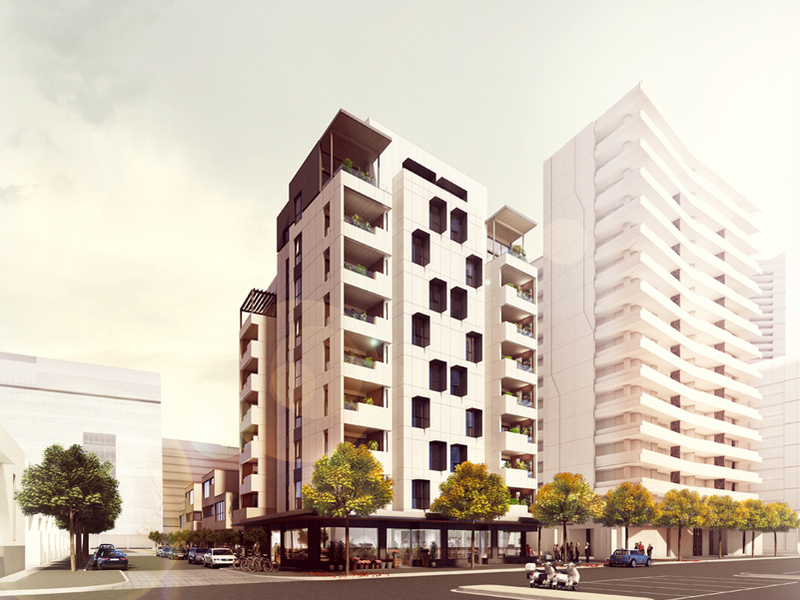 The world's tallest timber residential tower, 10 stories, in currently in Melbourne, Australia, though a 14-story Norwegian project may top it in 2015. In a head-spinning step, a handful of researchers from Cambridge, England, are experimenting with one of man's oldest building materials — the kind from trees — instead of steel as the primary structure for big buildings. And they're aiming really, really high. 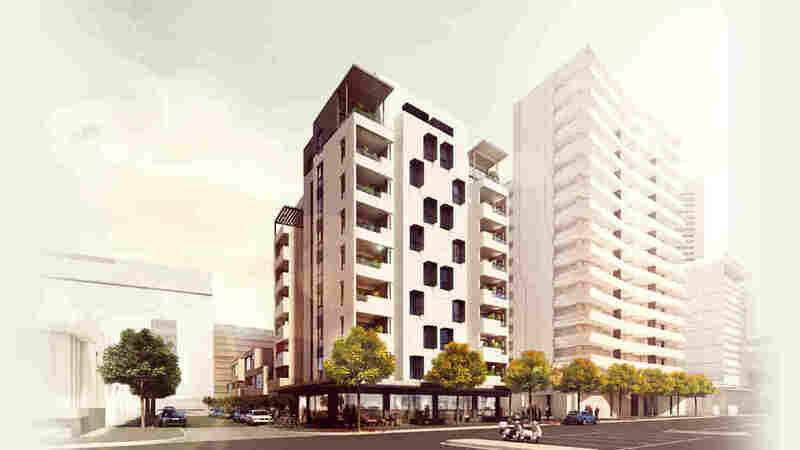 Already, there is one timber apartment building with nine stories in London, a 10-story structure in Melbourne and a 14-story building in Norway. But all that is dwarfed by talk of a wooden building that someday could reach 70 stories into the sky. That's just seven fewer floors than the Chrysler Building in New York City. Architectural engineers behind the idea, which has recently been gaining momentum, say they are looking for cheaper and more environmentally friendly materials to use than steel and concrete, the materials that have dominated tall buildings since the early part of the 20th century. But relying on timber takes some doing; for it to succeed, it will require not just great architectural skills but the expertise of biochemists. It doesn't take a degree in architecture, of course, to know that wood has long been considered too weak for high rises — not to mention a towering inferno just waiting to ignite. Indeed, builders have been far more likely to opt for steel for both medium- and large-scale structures. Yet environmentalists long have argued that the construction world urgently needs to become greener. For years, the creation of homes, offices and skyscrapers has been one of the biggest contributors to climate change. All told, these activities lead to nearly half of the U.S. global CO2 emissions. By 2050, the U.N. estimates that nearly 80 percent of the world will live in urban areas, adding up to a lot of planet-damning construction unless something changes — and soon. Scientists are making inroads by studying certain building materials, including wood and concrete, at the molecular level. Cambridge University has set its sights set on creating that 70-story skyscraper made out of timber. For now, it's in the design stage, but by better understanding the molecular and cellular structure of wood, professor Michael Ramage and his team from the university's department of architecture say they are certain they can strengthen the materials of a wooden building at the weakest points — where the giant timber slabs connect at walls and floors. "I think there's quite a lot to be gained from looking at the smallest level of building blocks and working upwards," says Ramage. To accomplish this, they will need to deconstruct how plants get their strength from the rigid cellulose wall surrounding each cell, which means the architecture department is partnering with the department of biochemistry and professor Paul Dupree, who is applying what he's learned studying biofuels. Translation: They're genetically engineering stronger plants and unlocking the potential for (sun-fed, sustainable) wood. Ramage and his researchers also are working to strengthen existing plant materials by impregnating them with polymers. Already the team has had enough success in modifying the structures of spruce and willow to net a five-year, $2.8 million grant to advance its research and attract commercial interest. Surprisingly, wooden skyscrapers aren't as prone to fire as one might think. While small homes go up like kindling, "massive timber buildings are not flammable," Ramage says, because the surface of timber burns and chars just enough to provide a good insulator that protects the interior. "Looked after properly, wood can be just as sturdy as brick, and is more resilient," he says. Steel, meanwhile, is more vulnerable to heat than people often realize. The material itself doesn't burn, but everything around it does, heating up the alloys and weakening them. Then there's concrete. While hugely useful — concrete absorbs heat by the day and releases it by night — it's not considered a green material. On its own, concrete's primary ingredient, cement, accounts for 5 percent of global carbon dioxide emissions, and its production is growing 2.5 percent annually. As the most-used construction material on the planet, concrete is an easy target for environmentalists, but nobody has fully understood how it worked at the molecular level — until recently. By getting to the heart of what's in the substance, MIT professor Roland Pellenq and his team may just save concrete's reputation. "There's no other solution to sheltering mankind in a durable way," Pellenq has said. While cement combines different materials in various ratios, no one had studied the material's differing molecular structures in detail until Pellenq came along. His work has proven that reducing the ratio of certain materials can make concrete nearly twice as resistant to fractures, while cutting concrete emissions by as much as half. In short, he and his team are paving the path for stronger, greener concrete. The next steps will require ratcheting up production to suit the building sector, and Pellenq expects a great deal of interest from construction, gas and oil industries.